Your order will ship TOMORROW if placed in the next 11 hours 12 minutes . Enter your shipping address zip code to receive an instant delivery date estimate from UPS. Geco 22 Long Rifle Semi-Auto Ammo 40 Grain Lead Round Nose ammo for sale online at cheap discount prices with free shipping available on bulk 22 Long Rifle ammunition only at our online store TargetSportsUSA.com. Target Sports USA carries the entire line of Geco ammunition for sale online with free shipping on bulk ammo including this Geco 22 Long Rifle Semi-Auto Ammo 40 Grain Lead Round Nose. 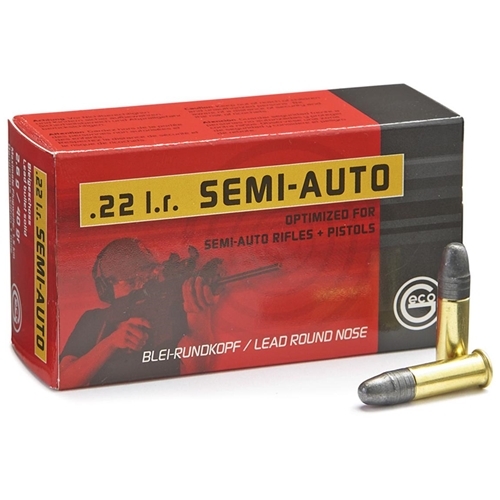 Geco 22 Long Rifle Semi-Auto Ammo 40 Grain Lead Round Nose ammo review offers the following information; With over 100 years of ammunition manufacturing experience many of the best shooters in the world use Geco ammunition. With an old school methodology of creating great high quality ammo for an economically attractive price, Geco has a modernized view on what ammo needs will be in the future. All Geco ammunition is made with high quality components including non-corrosive boxer primers, virgin brand new never fired brass casings, permitting for it to be reloaded numerous times, for those that choose to reload. Geco creates a wide variety of ammunition for sporting and competition needs; the ultimate go to for range shooters all the way to hunters and competitive shooters. With state of the art technologies, innovative design, and exacting quality controls, this is one of the most reliable, match grade cartridges for discerning shooters. Target shooters can always depend on the cartridge's perfect functioning, consistent performance, and fantastic precision. Geco manufactures some of the best precision crafted ammunition on the market today. This Geco 22 Long Rifle Semi-Auto is reliable rimfire ammunition that guarantees required standards of accuracy at an extremely favorable price. Reliable, sturdy, and dependable are just a few words that come to mind when thinking of the Geco line of ammunition. Geco IMO is one of the best value, quality, and accurate 22 Long Rifle rounds out there! It is made by Dynamite Nobel, which is one of the best ammunition manufacturers in Germany. This Geco 22 Long Rifle is loaded with a 40 grain Lead Round Nose bullet. Geco rounds provide consistently tight groups shot after shot. Geco manufactures some of the best precision crafted ammunition on the market today. Many of the best shooters in the world use Geco ammunition including Olympic shooters! Target shooters can always depend on the cartridge's perfect functioning, consistent performance, and fantastic precision. Muzzle Energy 117 ft. lbs. Good price for good ammo. perfect deal on in stock ammo at Target Sports. Geco 22 Long Rifle Semi-Auto Ammo works well in my modified 10 22. Love the availability of ammo that TSUSA provides to customers at a discount price. Free shipping and discounted prices! 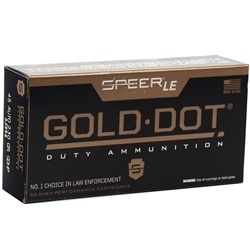 Geco ammo for sale online with free shipping on bulk ammunition only at Target Sports USA. TargetSportsUSA.com carries the entire line of Geco ammunition line for sale. Ammo offers a modern range of ammunition for target shooting and hunting. With Geco ammunition you will get the high quality ammo at a attractive price point. Geco ammunition is offered in most popular ammunition calibers such as; 9mm ammo, 45 ACP AUTO ammo, 380 ACP AUTO ammo, 40 S&W ammo, 38 Special ammo, 357 Magnum ammo, and 9mm Makarov ammo. Geco also makes high quality competition grade 22LR ammo optimized for both Semi-Automatic and Bolt-Action rifles. Most Geco ammo is made with copper jacketed full metal jacket bullets, brass casings and non corrosive primers, making this ammunition fully reloadable. Order any case of Geco bulk ammo at Target Sports USA and shipping is free.